Centrally located, the Yakima Convention Center is your best choice for a Pacific Northwest convention or event. Driving distance is less than 200 miles from Seattle, Portland, and Spokane, making it easy for all your attendees. A recent $9 million revitalization in Downtown Yakima charms visitors with new sidewalks, over 300 flower baskets, vintage-style light posts and new wineries, spas, restaurants and boutique shopping. Pre-function space: 11,600 sq. ft. Outdoor Plaza: 7,000 sq. ft. The perfect place to gather and enjoy the Yakima Valley's 300 days of sunshine. For full details regarding the floor plan visit our Facilities page. Catering Company on site, serving light fare to seven course meals, even portable espresso machines. 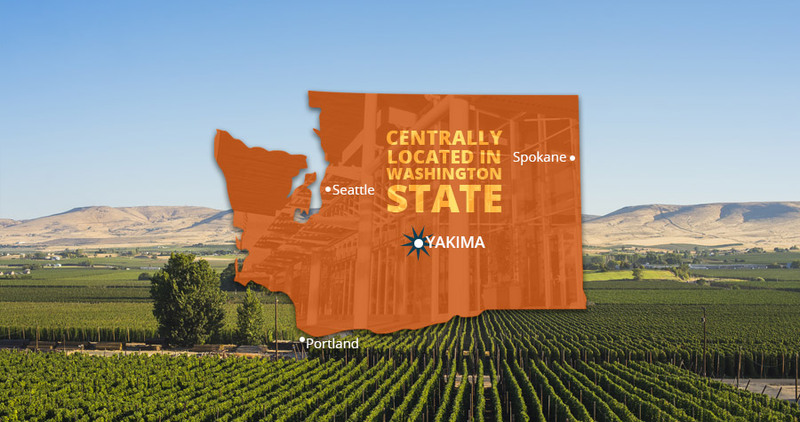 Your guests will enjoy Yakima's restaurants, golf courses, and winery tours in their leisure time. For more details about our services and features visit our Services page. of making convention planners happy. "The exceptional service we receive from the Center staff coupled with great food and a state of the art facility are key components in meeting our trade show goals. The Center staff meets and exceeds our expectations every year." "We feel that you have the best Convention Center staff of any facility we have ever used." You can help bring conventions and events to Yakima.